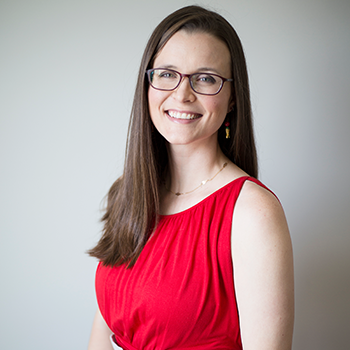 One of the biggest questions I had when I started the paleo autoimmune protocol for leaky gut was "how can I replace eggs in baked goods?" There are a number of paleo-friendly egg replacements out there, such as flax seeds, chia seeds, even mashed bananas or applesauce. Unfortunately, chia and flax seeds are not an option on the AIP, and I wasn't too interested in using pureed or mashed fruit since I wanted to make savory recipes, not sweets. I saw that gelatin was listed as a replacement in baked recipes. Say what? I had to try it! 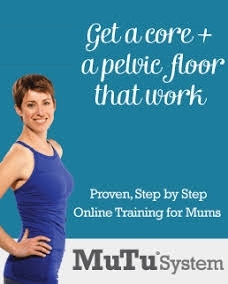 I admit that I was skeptical that it would work. It seemed too good to be true, since I needed to ramp up my gelatin intake anyway while on my leaky gut healing protocol. The good news? Turns out it works like a charm! These last several months I have done a LOT of experimenting with gelatin "eggs" and I am excited to share my tips and tricks with you today. I've used gelatin to replace eggs in others' recipes and I've developed a couple of recipes of my own. Savory Cookies (aka flattened biscuits). They're flat because the gelatin prevents them from rising well. A fair price to pay for these life savers! They taste SO good! Pancakes, either green plantain or green plantain flour -- take your pick! Breakfast bacon muffins. This recipe is coming to the blog soon! I don't recommend using the gelatin from the grocery store produced from factory-farmed animals (Knox is the only brand I've ever really seen in stores). 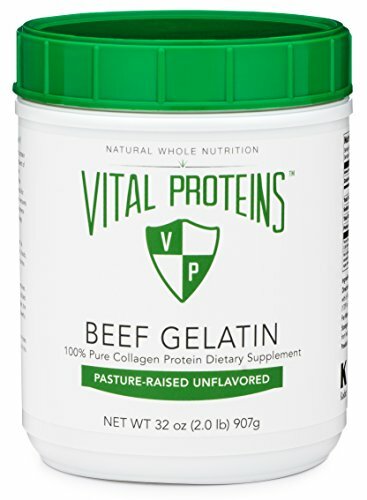 I used to exclusively use Great Lakes brand gelatin because it is derived from grass-fed cows, but now I have switched to Vital Proteins as my preferred brand thanks to the transparency in their sourcing (from Brazilian cattle), the taste (there is no taste, which is not true for Great Lakes brand), and ease of use (their collagen dissolves much more easily and without clumping in cool liquids). 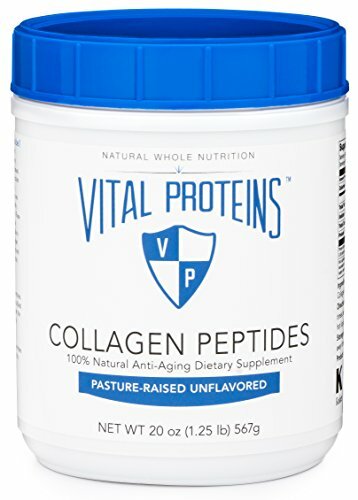 I told you above that I now prefer and use Vital Proteins brand, but if Great Lakes is the only non-factory farmed brand that fits your budget, go for it. Or, if all you can manage is Knox, no judgement from me! Do the best you can and be proud of yourself for even consuming gelatin in the first place! You will need to use the GREEN jar of beef gelatin from Vital Proteins to make a gelatin egg. The blue is just for adding as a collagen supplement to liquids. Great Lakes gelatin comes in three varieties: red (bovine), orange (porcine), and green (collagen hydrolysate). I have never used the orange (porcine) canister before because it doesn't come from pastured pigs. It's important to me to know that the animals I'm eating lived natural, happy lives eating foods that they are meant to eat. So, that means no grain-fed beef or cage-raised pork for me. I am blessed to be able to eat this way! The green can of Vital Proteins or the Red can of Great Lakes are what you need to use to make a gelatin egg. But, trust me, you'll definitely prefer Vital Proteins since it has no unpleasant odor or taste! How to Make a Gelatin "Egg"
It's so easy. In general, to replace 1 egg, use 1 tablespoon of gelatin (red can) with 3 tablespoons of filtered water (room temperature). You can easily double, triple, even quadruple this recipe to replace 2-4 eggs. I've used it to replace 5-6 eggs before, too, but sometimes it doesn't work very well to use it for that many eggs (the texture can turn out strange). Use caution when replacing more than 4 eggs with gelatin. Sometimes it works better to use 4 tablespoons of water per 1 tablespoon of gelatin (my biscuits, for example, use that ratio). My kitchen experiments have taught m this general rule: use 4 Tbsp of water for each Tbsp of gelatin if replacing 3 or 4 eggs, but use 3 Tbsp of water for each 1 Tbsp of gelatin if replacing 1 or 2 eggs. Add water to a small pot on the stove, but don't turn on the heat yet. Sprinkle or "rain" the gelatin on top of the water slowly to "bloom" it (wet it). You'll see it swell up and absorb the water. Try not to let it clump together. I usually slowly sprinkle 1/2 Tbsp at a time to prevent any clumping. After sprinkling all of the gelatin, use a whisk if necessary to ensure that all the gelatin has been wetted. Let gelatin sit for about 1-2 minutes after being wetted. Turn the heat on medium low to melt the gelatin. Use the whisk to stir it until it melts completely. Once the gelatin is completely melted, use the whisk vigorously it until it becomes frothy. Use immediately in your recipe. Watch how liquid gelatin instantly thickens a completely wet and runny batter. It's really kind of amazing how to makes the batter come together! Always be sure to gently sprinkle the gelatin on top of the water to bloom it and be careful to avoid clumps of gelatin from forming. Use the 1:3 ratio of gelatin:water if replacing 1-2 eggs; use the 1:4 ratio if replacing 3-4 eggs. Don't assume that Knox (or other store brand) gelatin is cheaper per Tbsp than Great Lakes, especially if you live in a big city where groceries are more expensive. Great Lakes runs about $0.29 per Tbsp if you buy it on Amazon.com EDIT: check out the FB post below where I price compare. Be aware that your baked goods made with gelatin will not rise the way that goods made with eggs do. The taste, though, will be excellent! When reheating baked goods made with gelatin, be careful not to overcook them. Sometimes they can turn out a bit extra crispy upon reheating. You may or may not find this new texture desirable. (I've had readers tell me that my biscuits only get better with each reheating; I prefer to eat them fresh and to reheat them a max of 1 times). Work quickly after adding your liquid gelatin to your batter. Don't let it sit before baking. Don't be afraid to experiment! This works with cookies, biscuits, pancakes, brownies, muffins, pizza crusts, and more! Post by The Curious Coconut. Let me hear from you in the comments: have you used gelatin as an egg replacement? Tell me about your experience! Want to learn a TON more about gelatin? 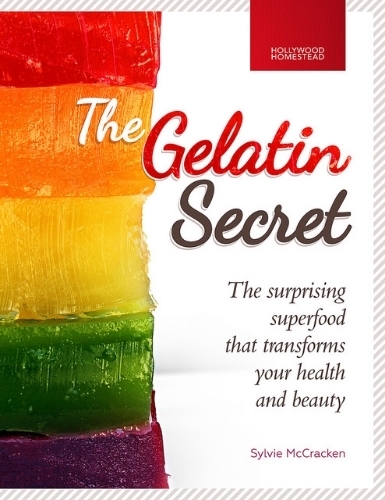 Let me introduce you to The Gelatin Secret by Sylvie of Hollywood Homestead. Inside you will find 70+ pages of recipes plus about 80 pages of information about this true superfood. Learn how gelatin consumption (or lack of it) can affect your skin, bones, joints, dental health, brain, hair, and nails. It's easy to include it in the form of homemade bone broths, "Jell-O" style snacks, smoothies, popsicles, and more! Read my review of this amazingly comprehensive e-book here.